"In January 2004 I was two months pregnant, got out of bed one night and was unable to walk, the pain was unbearable. I was in the hospital for a week, given muscle relaxers and pain pills, and the doctors wanted to operate. I would ask to go to a chiropractor and everyone strongly disagreed. When I was released from the hospital, I had to depend on family and friends for all my care. After two months in bed I not only took my health, but my values, into my own hands. I called Dr. Harris. I explained what happened and I was 4 months pregnant. After my first visit I felt better. I stopped taking my medication. Four months later, I am feeling great and can function on my own. If I ever need to see Dr. Harris between visits I call him and go to the office. His staff is very caring and understanding. I can't say enough about my experience with Dr. Harris. As far as I am concerned, surgery is not an option. I can finally enjoy my pregnancy and look forward to having my life back. 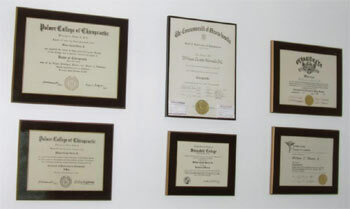 Dr. William C. Harris, Jr. has been in practice in Weymouth since 1982. He specializes in the utilization of the Gonstead System of Chiropractic in his office. His interest in chiropractic came from positive results chiropractic gave him following athletic injuries. Dr. Harris graduated from Palmer College of Chiropractic in Davenport, Iowa, with a Doctor of Chiropractic degree in 1982. He did his undergraduate studies at Stonehill College in North Easton, Massachusetts, graduating with a Bachelor of Science degree in Biology in 1978. He graduated from Weymouth South High School in 1974. Dr. Harris grew up in Weymouth and was very involved in hockey and baseball. He not only played both sports, but also coached various hockey and baseball teams while in college. 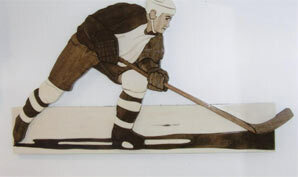 He was captain of his high school hockey team, Stonehill College hockey team as well as the Palmer College hockey team. He continues to help support area sports teams in many ways. Dr. Harris met his wife, Betsy, while attending Palmer College of Chiropractic in Iowa. They have two children, Billy and John. Dr. Harris enjoys playing hockey and baseball with his boys. They reside in Weymouth.